Only one photograph of Baron van Westreenen (1783-1848) is known, a daguerreotype made in Paris in 1841. In it the baron appears somewhat unfavourably, with a large head on a pair of far too slight shoulders. He is represented much more flatteringly in the portrait he commissioned from J.R. Post Brants around 1839. 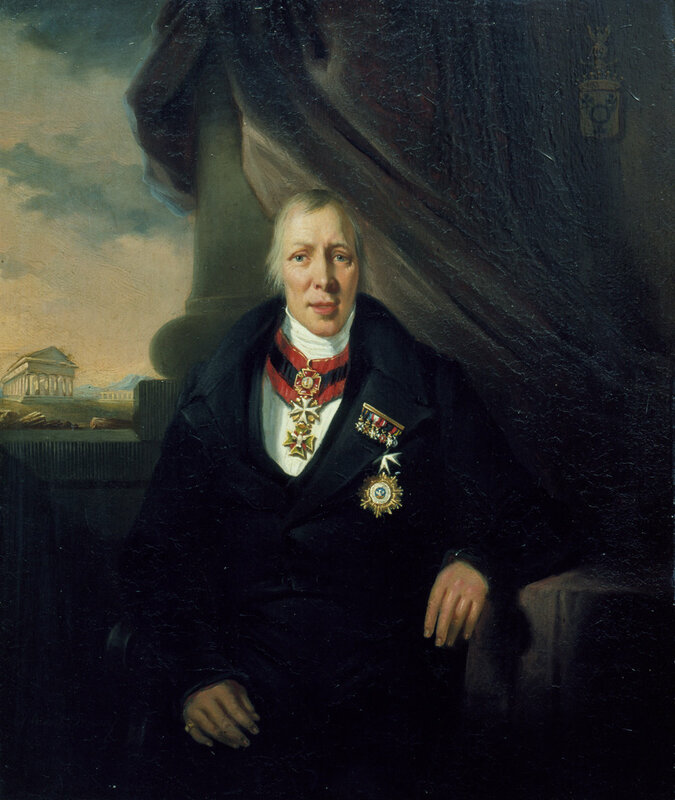 The aim of this portrait was to convey the baron’s status and prestige, and for this reason he pinned on all his decorations. There are no fewer than twelve: two on the left breast, three on a wide neck ribbon and seven on the left lapel. We see for example the Russian Saint Anne Star, the Tuscan Order of Saint Stephan and the Saxony-Weimar Order of the White Falcon. Nevertheless, this portrait contains a mistake, either on the part of the baron or the painter. The Cross of the Order of St John should hang from a black ribbon and the Saint Anne Star from a red one but here they are the wrong way around. In the daguerreotype the baron also wore decorations, but there we only see two.